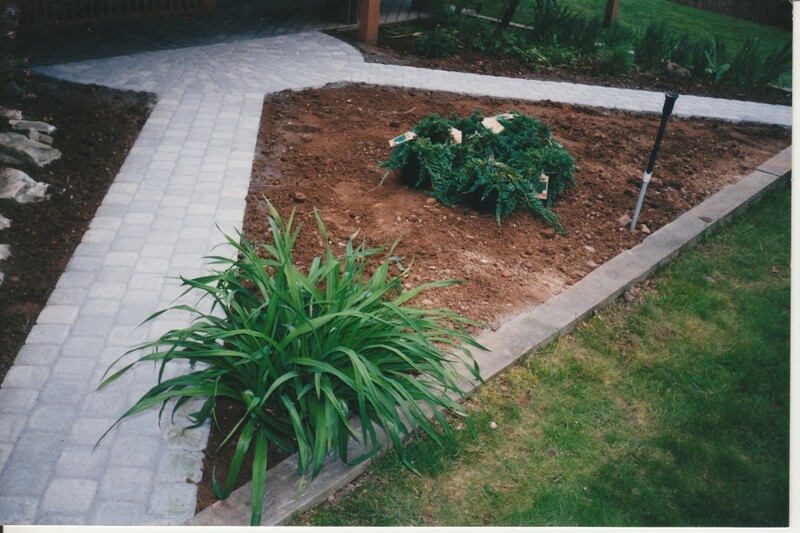 This category has information on the kinds of projects you can make with pavers and other hardscape materials. Garden Pavers – Add Beauty and Fuctionality! Installing a new outdoor patio is one of the best investments you can make into both the financial state of your home and the satsifaction you can gain out of it. Obviously, a new patio is an important investment, one that cannot be overlooked. I want to help you avoid regret when you finally get that patio installed a realize that you don’t like what you got, whether that’s 10 minutes or 10 years down the line. Thus, here are eight outdoor patio ideas that will hopefully inspire you and educate you about what is truly possible when it comes to an outdoor patio. I cover nearly every facet of your choices, the patio’s design, installation, and extra features that can make your patio even more beautiful. While you are planning out your back patio, don’t forget that you can add other features to the installation, such as a new stoop or garden area – indeed, there are many patio ideas for small gardens that can combine the beauty of your organic garden life with the man-made beauty of your new patios. One final note – don’t just limit yourself to the back patio! Many people have begun adding patios to their front yard. Obviously, this will depend on the dimensions of your property, but front patio ideas are at least something to consider during this phase. Another decision you need to make about your patio paving is picking the right patio material. There are tons of materials you can choose from, and many different designs and patterns (more on that in a sec), so the major factors for you will probably fall more along the lines of budget than anything else. At the lower end of the price spectrum is gravel, asphalt, and concrete – they are strong and durable, but don’t offer much in the way of design choices. 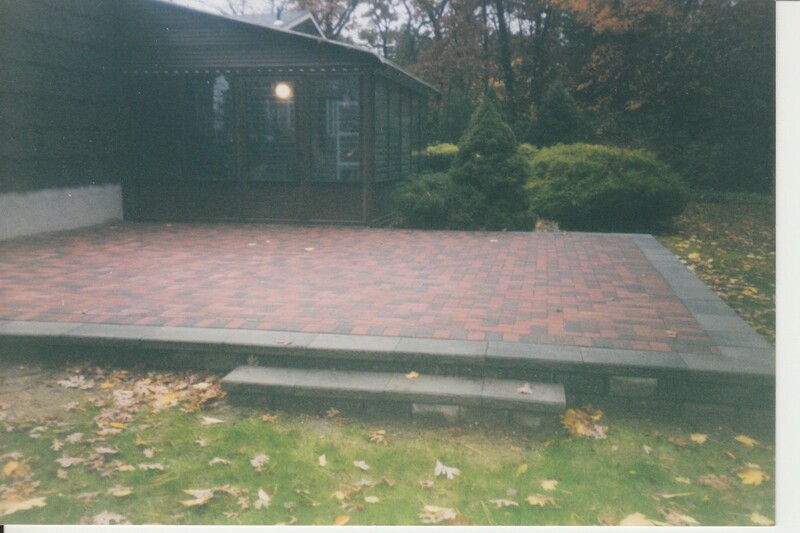 You can spruce up this traditional slab look with stamped and colored concrete patio options. The next level are concrete paving slabs, large square or rectangular cuts of precast concrete. 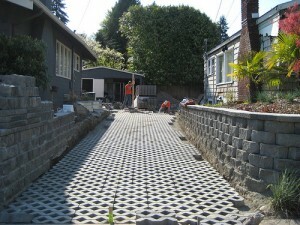 The next paving level up are pavers – concrete pavers, grass pavers, and brick pavers. Each type of patio pavers has its own qualities – I go over bricks and paving stones in other areas of this site, linked here. Finally, there are the natural stone options, such as flagstone, both in paver and slab form. These are by far the most expensive options. Other factors that you have to consider are your project plans, the climate (cold areas may crack patio slabs), and possibilities for expansion (i.e. are you considering adding on to your project at another time). Next comes the hard part – actually determining the design of your patio. A lot of your design will be determined by the material you select – for instance, pavers may be easier to form into curves and allow you to play around more with colors and patterns, moreso than traditional options like concrete. You’ll need to determine the dimensions of the patio, the pattern (if applicable), color scheme, add-ons (like walkways and steps), and more. Create a picture if you can, or get a contractor or designer to do it for you. Don’t forget about possibly adding a system of walkways around your new patio as well! The best part of using materials like concrete pavers is that you can use the material for all your backyard projects, even if you decide to add on to the installation years down the line. Still, it makes the most economic and efficiency sense to do as much work as possible at the same time. This is an important step – all your well-laid plans could go to waste by missing this step. I’ve written extensively on how to hire paver contractors here – much of what I wrote applies to hiring any contractor. One way to save money is to do it yourself – forgo hiring a contractor and install that patio with your own efforts. This will save you much money that you would have had to pay in labor costs, but you will of course pay with your own time and labor. If you are considering this option, make sure to think about DIY patio ideas, ones that will fit with your skill level and budget. For instance, certain materials are harder to handle than others, and require more skill and experience. You may also have a difficult area to install your project in (for instance, issues with grades or soil settling/composition) that necessitate the help of an expert. Still, you may be able to do a lot of the work yourself, especially if you’re using easy to install materials like pavers and slabs. One quick trick here is to try installing a small patio somewhere else in your yard as a ‘practice run.’ It can be a simple design where you can test out different materials, ideas, and so on. Then, when you feel more comfortable, upgrade to a larger application. Improving the look and feel of your backyard is not just about the hardscape! 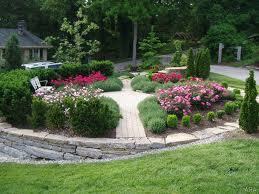 Consider how adding landscaping can enhance your newly installed patio. Doing so is an easy and cheap way of increasing the beauty of your project, especially when you can’t afford high-priced materials like sandstone paving. For instance, integrating a garden with a backyard patio may be a great way to showcase your hobby while enhancing the beauty of your backyard retreat. This site doesn’t have too much information (yet) on landscaping, but consider these articles on landscaping rocks and garden pavers for some preliminary ideas. Once the patio has been installed, you can also add other features to your patio that can increase its beauty and utility. For instance, if you’re looking for more privacy, you can get a screened in or enclosed patio. A covered patio is also good if you want to enjoy your project in any weather – extreme rain or extreme shine. Other ideas include getting a raised paver patio, adding patio furniture, outdoor lighting, barbecue pits, fireplaces, fountains, and much more! Even if you are not installing a new patio, or you don’t own your patio (like if you live in an apartment), you can still use these ideas to spruce up what you’ve got to make it a more enjoyable and relaxing living space. Finally, there are plenty of ways to save money on your next patio. Cheap paving doesn’t have to be low quality as long as you make the right shortcuts. First, you can look for inexpensive materials – I discuss some ways to find pavers for sale and paving slabs for sale on this site. As already mentioned, you can make use of patio ideas on a budget by doing the work yourself. For a more in-depth discussion of costs associated to different materials, see the Costs & Saving Money section of this site, including articles on such topics as the cost of pavers and a concrete patio cost guide. Adding a new patio to your yard – or simply redoing an old one – is a major project, one that you should approach with care. If you have no idea what kind of patio you want, or where you want to put it, or anything to do with your patio, you can certainly have a designer or contractor figure it out for you. But it’s also possible for you to come up with your own outdoor patio ideas. To help you out, here are ten outdoor patio ideas that you can either use for your next project or use to stimulate your own creativity when it comes to imagining and designing your patio. More comprehensive discussions of materials related to patios – such as articles on patio pavers and general patio paving information – can be found at those links. While you are coming up with patio design ideas, don’t ignore the other projects you can build with your patio. For instance, you can connect your patio to your home with new patio steps (made out of the same materials as the patio). 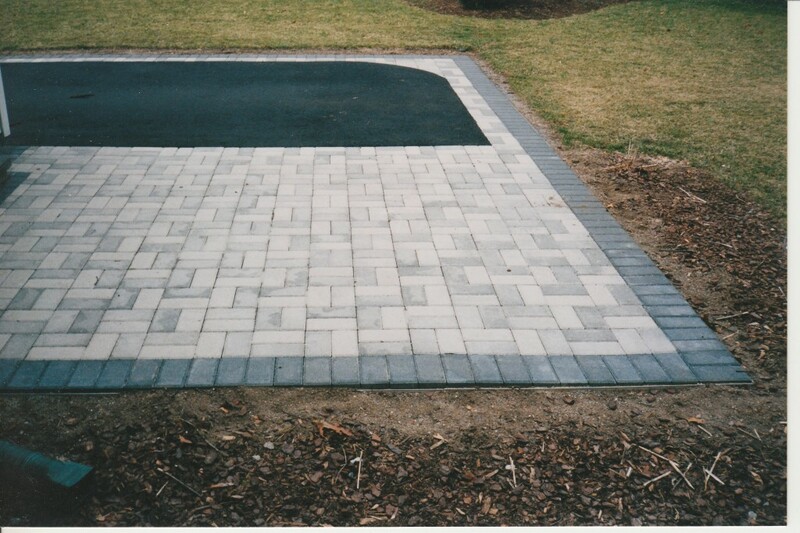 You can also create walkways, pool decks, driveways, and other installations, all out of the same or other materials. This is a good idea for two reasons. First, you’ll save money if you install all those project at the same time than if you install them separately. Second, you’ll ensure that all your projects have the same design theme, style, and material. Of course, the most common materials – concrete – are tried and true, but don’t forget about the other materials options available. 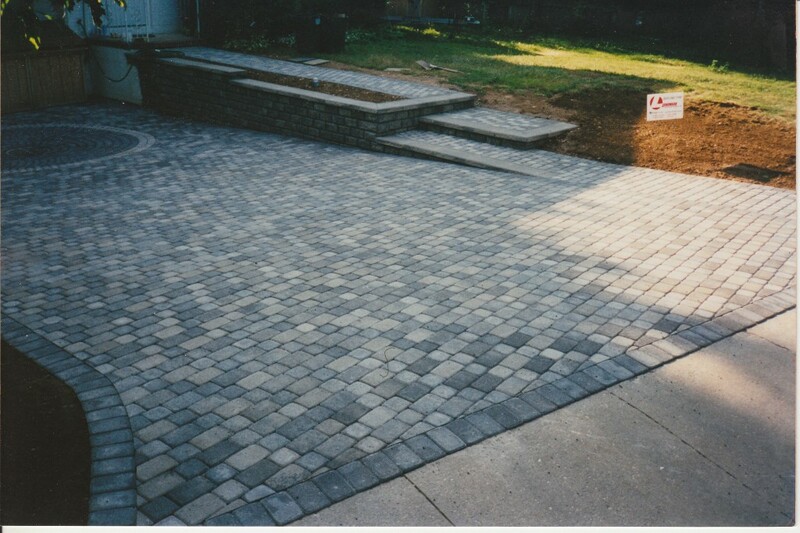 If your budget can handle it, we strongly encourage you to use patio pavers. You can find enough colors, patterns, and styles that you’ll be sure to create a design that will go with your general decor. If your heart is set on concrete, you should look into other decorative concrete options, such as stamped, colored, and stained concrete. You could also cover your concrete patio with thin concrete pavers or outdoor patio tile to provide the facade of a paver installation without the expense. Aside from concrete pavers, don’t forget other paver materials too for your outdoor patio, such as brick pavers and natural stone pavers. These are more expensive than concrete pavers and other materials, but they are beautiful to look at and go well with nearly any decorating taste. If you have no skills or willingness to install your projects, you can find plenty of contractors who can do the job for you. However, consider the possibilities, both aesthetic and financial, of doing it yourself. A DIY patio can save you money and ensure that your application turns out how you like. Use pictures for reference as necessary, and do your research to learn how to install your project. For instance, you can read about paver installation here. As with everything in life, it’s all about location, location, location. Of course, a backyard patio close to your house, or even adjacent to it, is a great option. But think about other places you can put your patio, or consider installing more than one patio, all with different uses. For instance, you can have one patio near your home for entertaining, and another garden patio for relaxation and for work on your landscaping. If you’re installing a new patio, the size of the new project is up to you, of course. This is also true if you’re installing a new patio in place of an old one – consider experimenting with different sized patios. For instance, you can create one large patio, as per normal, or you can create a series of small patios, perhaps connected by walkways and/or landscaping. If you are using your patio for entertaining, consider the ways you can maximize its utility. You can install a barbecue or fire pit; then it’s easy to cook food and have a BBQ without having to pull out the Weber grill. If you will be entertaining guests at night, try outdoor patio lighting to ensure that your guests will be bathed in light. Ultimately, the dimensions and design of your patio will depend on what you want to use it for. Make sure that the patio will fit all the accessories and people you want to put there. Make sure to measure out your gear to make sure that it will all be able to fit on the new patio with enough room. Of course, if you want to be able to use your patio year round, consider enclosing it. You can go as far or as close to an ‘outdoor room’ as you’d like. For instance, you can put a retractable roof on it if you want to get some sun occasionally; or you can enclose your patio with mesh, screen, windows, or even walls. You can then make your patio more of an extension on your home, perhaps adding a kitchen or entertainment area. Click this link for more information on enclosed patios. Once your patio is installed, don’t forget the furniture. You can really go wild here – of course, you’ll need some good patio sets with tables and chairs, but you can also add extras depending on the size of the project, such as a bar or hot tub. BONUS: Here are some other accessories you can add to your patio: umbrella, hammock, torches and other lamps, benches, walls, planters and other landscaping features, fireplace, fountains, statues, and waterfalls. 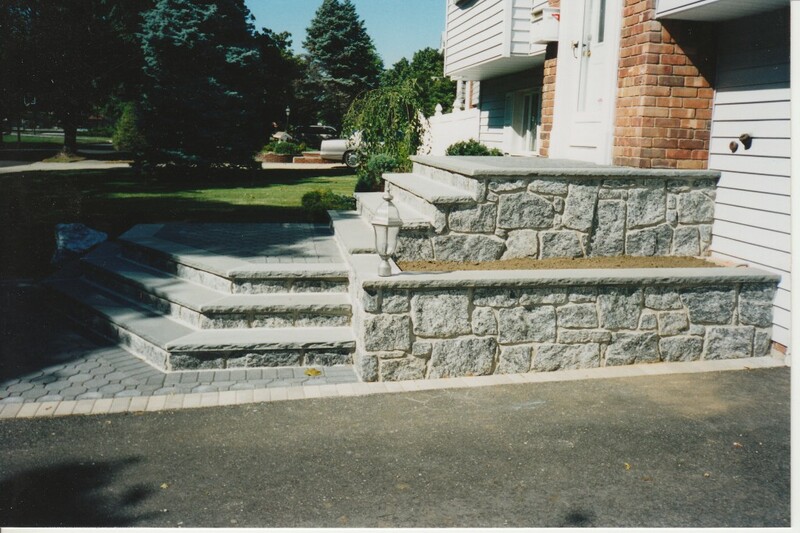 One of the more interesting and elegant projects you can add to your yard, landscape, and hardscape are steps. If you have an area of your yard that is at higher grade, or a path that travels up or down a rather steep slope, you might consider adding steps to the area. And one of the best materials you can use for these new steps is natural stone. Note that natural stone is actually a broader category that encompasses many kinds of natural stone. They all share the fact that they are quarried from the earth and cut into the shape you need. Thus, how the natural stone will look, how easy it is to work with, and the price you’ll pay for it will all depend on the specific type of stone you get, from cobblestone to flagstone and everything in between. Natural stone offers you many benefits that other materials options, like concrete and brick pavers and regular concrete, can’t offer you. Like the other hardscaping options, natural stone is durable and strong. It will resist the weathering effects of wind, sun, and rain, and you won’t be able to crack the stone or chip it. Think about it – it’s a material that’s stood the test of time for eons, just waiting to get to your yard. You can thus be sure that your natural stone steps will have a long life, so you shouldn’t expect to have to reinstall a new set of steps again unless you want to change up your yard. Another advantage of natural stone over its competitors is its beauty. Sure, concrete pavers can compete with natural stone in terms of the ‘ordered’ and ‘manufactured’ look, but if you want a material that captures the beauty and disorder of nature, you’ll want to go with stone. Finally, stone can be cut and shaped into whatever forms you need it. Thus, you’ll be able to build your steps according to your own specifications. If you do like regularity, of course, you can by stone pavers that work much like their brick and concrete brethren. However, if you want a more free form and ‘natural’ looking staircase, as if it were already there in the natural world, you can also go with irregular block and slabs of stone. The main variable when it comes to designing a natural stone step, besides the dimensions (i.e. length, width, curves, size of step, thickness, etc.) is the ‘regularity’ of the project. This largely depends on the kind of stone you buy. If you buy stone that is regularly cut, almost slab or paver-like, you’ll get a ‘regular’ looking set of stoops. However, if you buy irregularly shaped stone, stone that seems to have been ripped straight from the ground with little ‘manufacturing,’ you’ll have an irregularly laid step project. There is of course a continuum as well between ‘regular’ and ‘irregular,’ and where your project sits along this continuum depends on your tastes and needs for the project. While we can’t give you every single stone type that’s out there, we can at least point you in the direction of some popular choices. What may be available to you will depend on what’s available in your local area. Some popular stone types include: sandstone, slate, granite, limestone, chilton, bluestone, cobblestone, flagstone, and much, much more. Certain natural stone suppliers may also have ‘branded’ types of stone that are particular to that company. Also realize, besides the different kinds of stone out there, that you can also get different kinds of stone colors and textures, even within the same ‘family’ of stones. This is why it’s important to shop around and see sample products in person. Pictures can lie sometimes, despite best efforts, so it’s always good to preview the stone in person to get a better idea of its properties. Note that you can also get natural stone veneer and tiles that you can use to face old concrete steps and stoops. This is a great way to capture the beauty of natural stone without dealing with the heavy expense that’s usually associated with it. The main disadvantage of natural stone, and one that prevents most interested homeowners from pursuing the material, is its cost. Natural stone prices do vary depending on the kind of stone, but you will pay more than other options, regardless of whether you get finely cut natural stone pavers or ‘irregularly shaped’ stone. Even if you get the stone for sale, expect to pay $100 to $200 per step, or more, for materials and installation. The exact number you’ll pay will depend on the contractor you hire as well as other factors in your local environment. While you can work with natural stone as a DIY paving project if you have the skills, most homeowners will not want to attempt to build natural stone steps themselves. Instead, they should find a contractor who can do this kind of work. A word of caution. 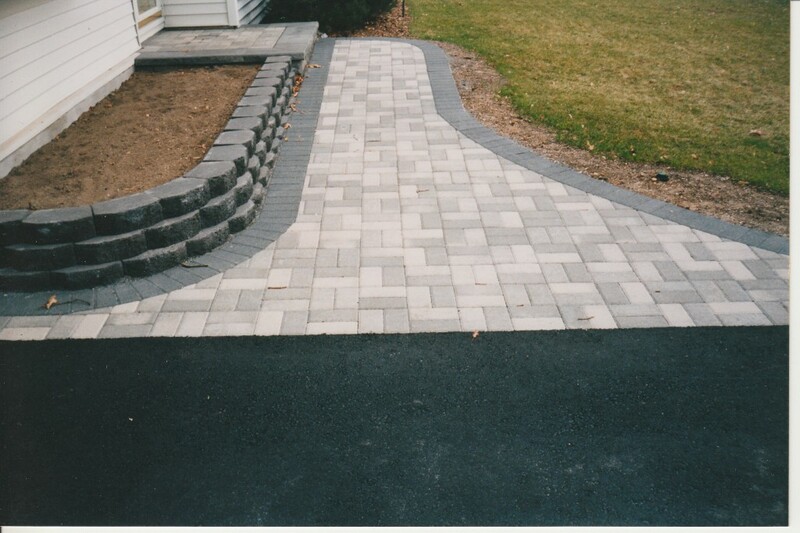 All hardscape projects – patios, driveways, walkways, and the like – have a certain element of ‘artistry’ involved. In other words, a good contractor is not only skilled at doing the work; he also has an eye for the artistic and aesthetic aspects of the project. This is very true when it comes to natural stone steps, as there’s an art to making your steps look ‘natural.’ So when you’re evaluating a contractor for this work, make sure you see samples of previous job’s he’s done to make sure that he will craft something beautiful and according to your expectations. While natural stone can never be boring, it can certainly be laid suboptimally. If you want to learn more about patio steps, including how to build them yourself, follow this link. One of the more popular options available for paving a driveway is asphalt. These types of residential driveways are ubiquitous throughout the world due to their cheap price, durability, and relative easy of install. 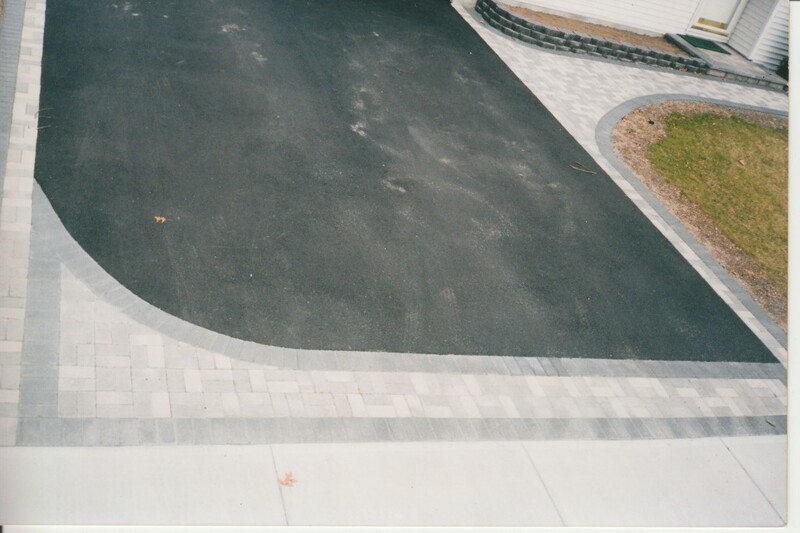 This article will describe what you need to know about the asphalt driveway – what it is, its benefits, its drawbacks, its prices, and what to look for when getting a driveway installed. 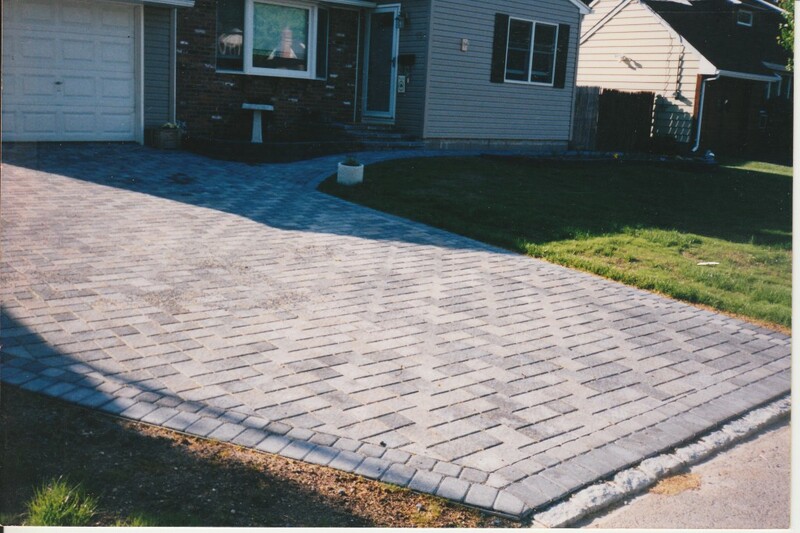 More information on other driveway materials, such as driveway pavers, can be found at these links. The major benefit of asphalt is its durability and resistance to vehicular traffic. You can park and drive on it with no problems. It is also very easy to install, as long as the company or contractor knows what they are doing, and the material is also cheap. Thus, prices for the installation of asphalt driveways are usually low, especially if you get contractors to bid against one another. The installation can be finished quickly, so you won’t have to wait for days for the project to be completed. (In theory, at least – see the ‘Scams’ section). Another benefit is that you won’t have to worry much about stains, even of oil, because they will usually blend in with the black of the asphalt. Maintenance is usually quite easy, too. Asphalt also does well in many climates, as it can resist cracking due to cold and be flexible in hot environments due to the composition of the driveway. It is easy to remove snow from, with shovels, plows, and deicing salts, and absorbs the sunlight in the winter, helping to melt snow and ice. There are some drawbacks to asphalt, however. Though maintenance is easy, you will still have to seal the driveway once a year, or at least get someone else to do it. While it’s not necessarily required, the proper application of asphalt sealer will help keep the driveway looking great and being strong for years to come. A little investment now could spare you the costs of replacing the driveway well before its time. Another drawback of asphalt is that it doesn’t look as good as other driveway options. It is certainly outclassed by paving stones, and even concrete, especially if it is stamped or colored, can be more interesting to look at than asphalt. Indeed, asphalt is kind of generic, but this may not be a problem for you if you just want the job done and don’t want to invest into the looks of your home. Just know that your design options will be limited – in the patterns, shapes, and colors you’ll have (or rather lack) at your disposal. If you are looking for more flexiblity and creativity in designs, go with concrete, paving stones, natural stone, or brick pavers. Like concrete, asphalt may crack due to freeze-thaw cycles. This is a common problem in areas with cold and wet climates, but it can happen anywhere. Whether or not this happens depends on a number of factors, including random chance, but the most important factor is the quality of the base on which the asphalt is installed. When looking for a contractor, make sure he or she knows the importance of the base, and is willing and able to put in the time necessary to prepare it properly. You may want to subcontract out that part of the work to someone who is great at preparing bases if you don’t trust your contractor’s ability to deliver on this. Asphalt may also have issues in hot climates. If it gets too soft and too much weight is put on it, it may form ruts or dips that can be unsightly. One other disadvantage is that you can track in oil and grime from the driveway into your home and other clean areas if you are not careful about taking off your shoes. For instance, it’s totally possible to track in seal coating into your home, especially if it’s a hot day and the asphalt is soft or just recently sealed. If you are concerned with the environment, asphalt may not the be best choice, as chemicals and oils will leach into the ground. However, if you use recycled asphalt, you will help save the environment by using fewer fossil fuels. You’ll also save a few bucks, too! Finally, you will not be able to install asphalt yourself unless you have the tools and experience to do so. Thus, if you are looking for a DIY driveway project, asphalt may not be the choice for you. If you do want to get asphalt done, you’ll have to hire a pavers contractor – and that comes with the obvious drawbacks of that process. Asphalt is usually one of the cheapest options out there, though the price will vary depending on many factors. One of these factors is the price of crude oil. Components of oil are actually important components of blacktop, so as oil increases in price, blacktop increases in price. Other factors include the size of the job, the season, your location, the contractor you hire, and the specifics of the job itself. In general, however, the cost per square foot for most driveways will range from $1 to $6. The exact cost will depend on the estimate you receive from a contractor; you may also be able to find a cost calculator as well to give you a more specific, but still rough, estimate. If you get an old asphalt driveway resurfacing, you’ll pay much less in the short term than if you got a new driveway. However, realize that many of the flaws, like cracks, may come through the new layer, despite the contractor’s best efforts, so it may pay in many cases to get a totally new installation. A more in depth look at the asphalt driveway cost can be found at this link. Asphalt benefits from periodic sealing, though it is by no means required. If you want to extend the life of your driveway, or if you want to protect it from water damage, have it sealed every year or two. However, wait at least a year before sealing a new asphalt driveway. You will want to to do this when the surface turns a bit more grey and when you can see the small stones coming to the surface. If you don’t want to hire someone who specializes in sealing asphalt driveways, it is possible for you to do the work yourself as long as you follow the “how to” directions listed on the sealant product you purchase. If your driveway does get cracked, chipped, or otherwise damage, it is possible to hire someone who does asphalt driveway repair; you can also do the work yourself, if you know how. Simple crack filler or patches might not look great, but they will look better than the unfixed alternative; they are usually relatively easy for you to DIY. How Do These Driveways Compare to Other Materials? What about concrete vs. an asphalt driveway? 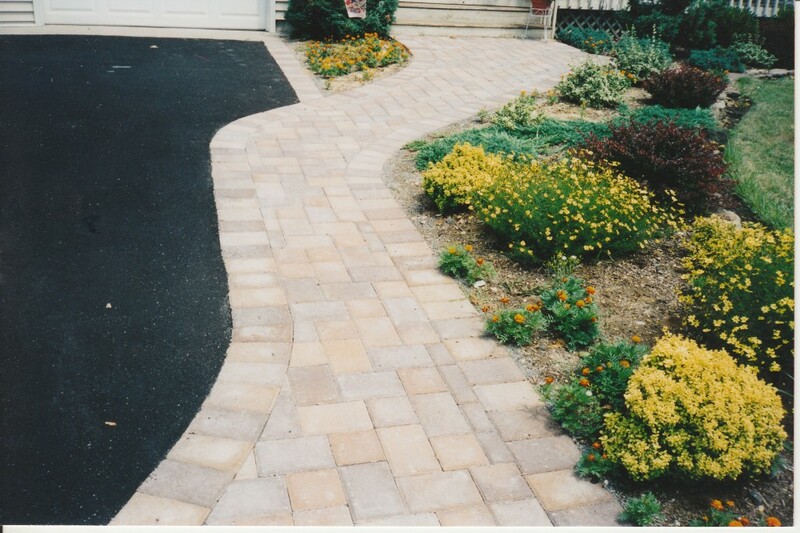 These are two of the most popular options for driveways, not counting concrete pavers and stone. Asphalt is very similar to concrete, in that they are both a mixture of sand and stones, but asphalt is bound together with asphalt cement instead of Portland cement. Asphalt is, in a sense, “concrete asphalt,” in that it contains similar components to concrete and is bound together in a similar manner. Despite the minor differences, both are strong, and asphalt has the added bonus of being quite flexible. Whether you pick asphalt or concrete is up to your budget, design ideas, and home style and theme. Concrete is usually slightly more expensive than asphalt, but this may not be true all the time. You’ll have more design options with concrete, even if you do pick special colored or stamped asphalt, but the installation and maintenance of your asphalt will probably be easier. Note that asphalt and concrete are both different from a crushed asphalt driveway, also known as tar and chip or macadam. Instead of mixing the stone, sand, and binding agent before laying the driveway, the stone and sand are laid on the driveway first and then ‘sprayed’ with the cement. A more in depth comparison of hardscape materials can be found here. What About Asphalt Driveway Scams? Asphalt driveway paving is big business in the home construction niche, so you’ll have no shortage of people willing to do the work for your home. However, many people report having many problems when dealing with contractors, everything from delivering substandard work to excavating an old driveway and then waiting for months to finish the job, leaving the homeowner with a dirty and dusty driveway throughout that time. One of the main reasons this happens is that certain unscrupulous contractors will wait until they score multiple jobs in one area before laying down the asphalt. This is because asphalt must be hot in order to be laid, and it is more convenient and efficient to lay more than one driveway at a time. Thus, they will often excavate a driveway, wait for more homes, and then finish the job days, weeks, or even months later. This is why it’s so important to get reviews of contractors’ work before you commit to them. You need to make sure you are getting good value, and not getting scammed, so do your homework and ask for referrals from friends and family who’ve had good work done in the past. When picking a contractor, the most important factor is how much attention they pay to a base. The base of the driveway should be around 8 inches of well compacted gravel or aggregate base. In addition, this base should extend farther than the actual driveway in order to give a little edging around the structure. Don’t let the contractor install the new driveway without assessing the thickness and the strength of the base – if you are getting a new driveway because the old one cracked, you’ll want to make sure you get a full checkup, even if this will cost you more in the short term.